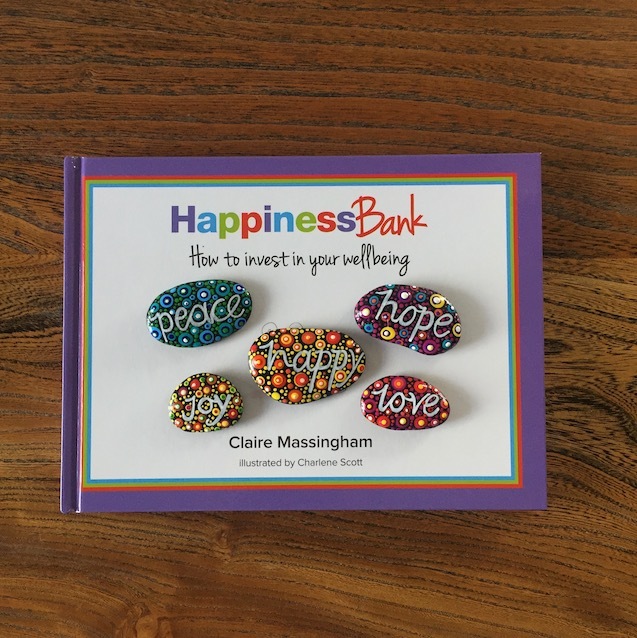 Buy a bag of happy rocks and Happiness Bank book for only $30. The book normally retails for $25.00 and the bag of happy rocks for $15.00. A saving of $10.00! 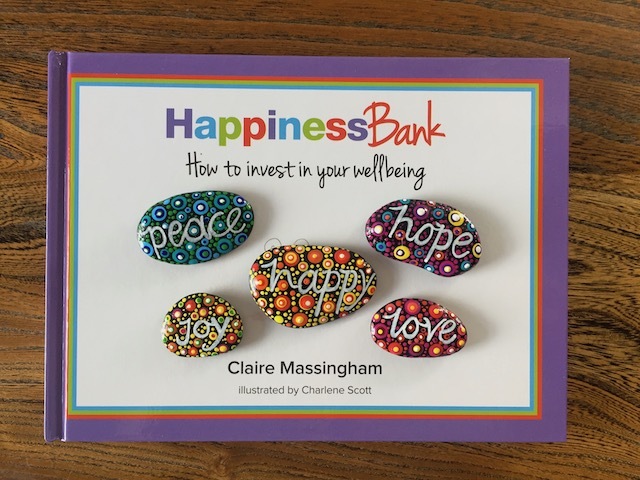 Give the gift of happiness with a joyful book on happiness and a bag of happy rocks hand painted by Claire from the Happiness Bank. 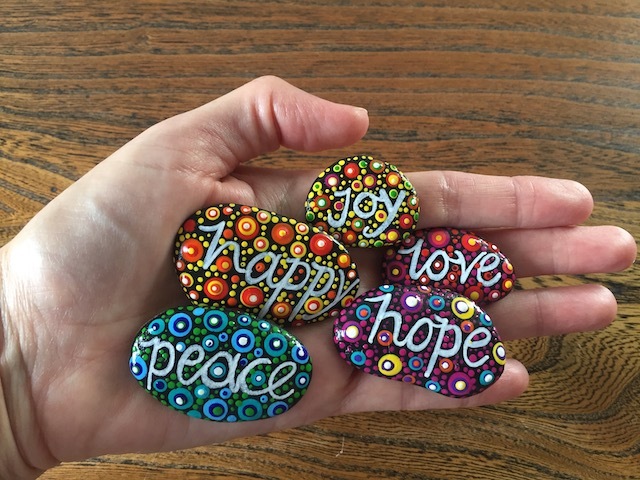 The rocks have been made with love and are a wonderful complement to the book. 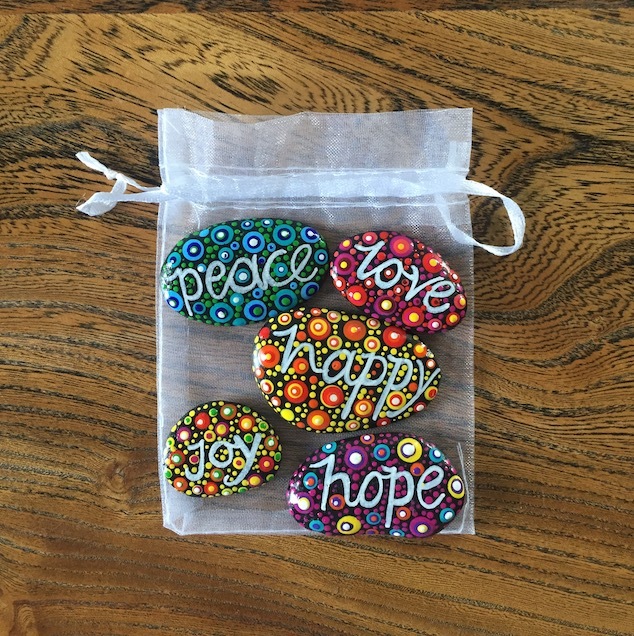 The idea behind a the bag of happy rocks is to have something tangible that one can hold in their hand, close their eyes and feel happy rock magic flow into their heart.